What Type of Trees Do You Have? ​Leyland Cypress, and Eastern Red Cedars. 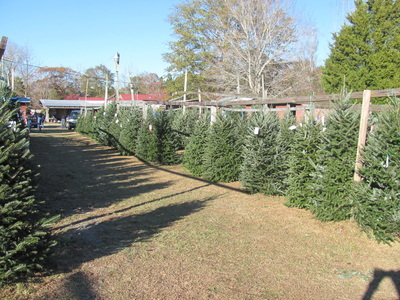 Check out "Our Trees" for pictures and descriptions of the trees. 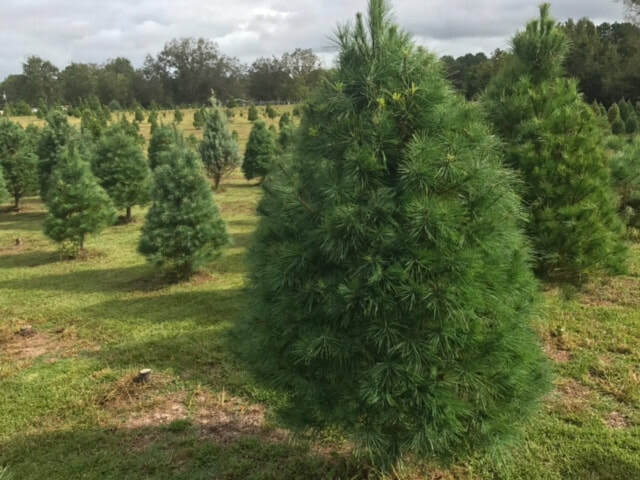 Trees in the field are priced at approximately $7 per foot and our Frasers start at $10-11 a foot and up and are priced according to their height, fullness, and quality. 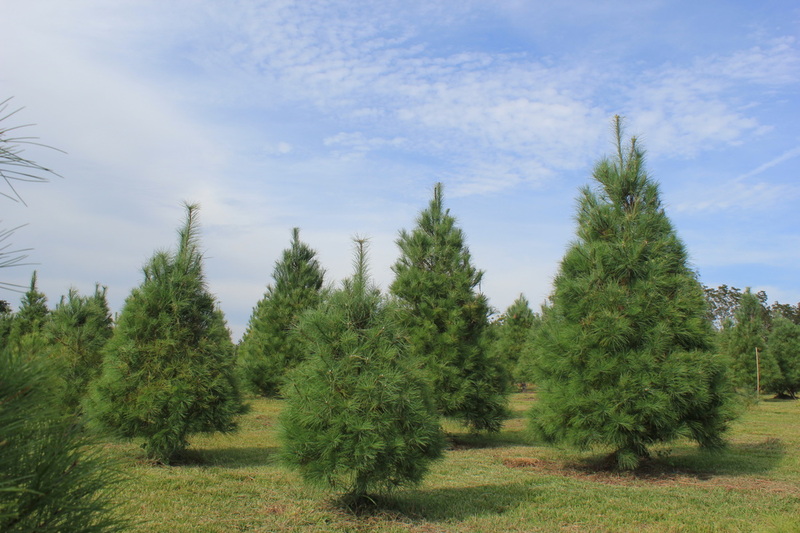 Why are the Fraser Firs pre cut? 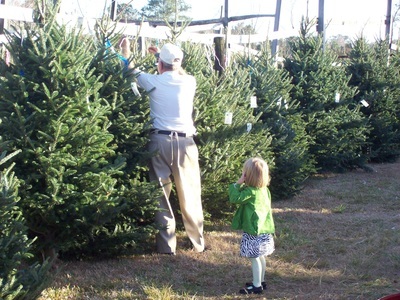 Fraser Firs must grow in higher altitudes and ours are grown in the North Carolina Mountains. They are cut the week before Thanksgiving and brought to our farm. Will you put on a fresh cut to the pre cut trees? Yes, we put a fresh cut on all pre cut trees and will trim it to fit your stands. Check out Our Services for a list of complimentary services. Are we allowed to cut down our own tree? Yes, you can cut your own tree or we'll be happy to cut it down for you. Do I have to bring my own saw to cut down a tree? Do you sale tree stands? Do you bale trees and have rope to tie a tree on my car? Yes, we bale all trees and our "Tree Tying Experts" will be happy to tie your tree on your car so that you can get it home safely. Do you allow professional photography sessions? No- Unfortunately, we can not accommodate third-party/professional photography sessions. 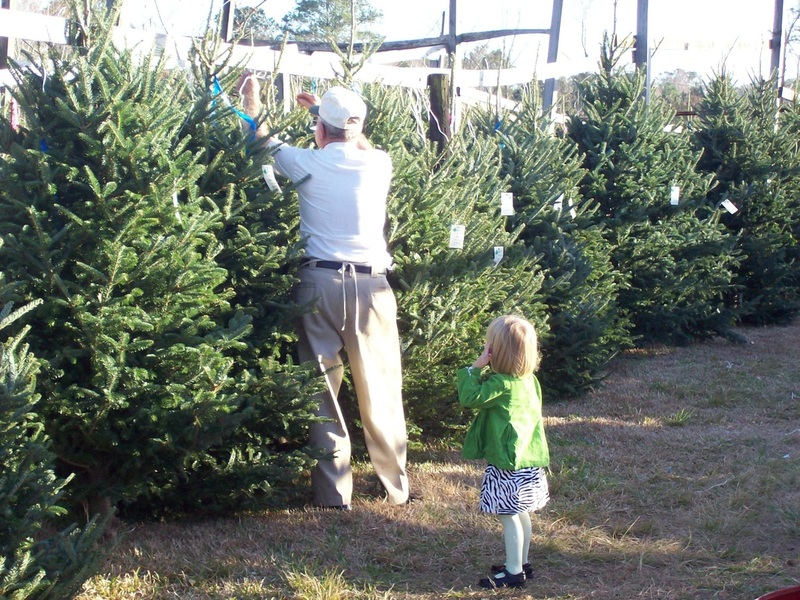 Dogs are welcome to help you pick your tree but please have them on a leash for their safety. Are there other activities available? Our train runs throughout the day and is free for kids & adults. Also, check our our Christmas Chickens!